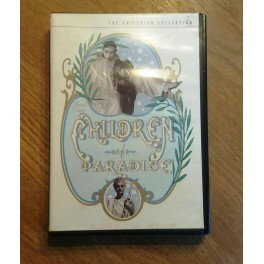 Les Enfants du Paradis, released as Children of Paradise in North America, is a 1945 French epic romantic drama film directed by Marcel Carné. It was made during the German occupation of France during World War II. Set against the Parisian theatre scene of the 1820s and 1830s, it tells the story of a beautiful courtesan, Garance, and the four men who love her in their own ways: a mime artist, an actor, a criminal and an aristocrat.